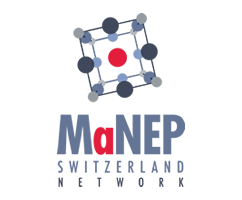 MaNEP Switzerland Network was constituted as an association in June 2013 and is open to all scientists active in Swiss research institutions and industries. It was created following the successful completion of the National Center of Competence in Research MaNEP (Materials with Novel Electronic Properties) with the ambition to federate all scientists in its field of interest into a strong scientific network, independent of any affiliation to past or ongoing research programmes. The goal of MaNEP Switzerland is to promote and strengthen research on the physics of novel quantum materials and devices in Switzerland. MaNEP Switzerland is to offer an attractive forum to develop partnerships and collaborations amongst scientists in its field through workshops, conferences, educational activities and communication tools. The Association is not-for-profit and has its administration in Geneva. Raise the scientific awareness of the general public through conferences, exhibitions and other communication initiatives.